It’s not just a problem for astronauts anymore. Poor Gherman Titov, the second human in orbit. By the time the Soviets flew him in August 1961, Yuri Gagarin had grabbed the glory four months earlier. Unlike Gagarin, who had made just one orbit, Titov was subjected to 17, which took a little more than a day. That might have granted the kid bragging rights—he was 25 years old, and remains the youngest person ever in space. But after a few orbits, Titov suddenly grew nauseous, and then—horror of horrors for any military pilot turned cosmonaut—he threw up. It looked like a rookie problem, but Sergei Korolyov, the legendary engineer who headed the Soviet space effort, took it very seriously. 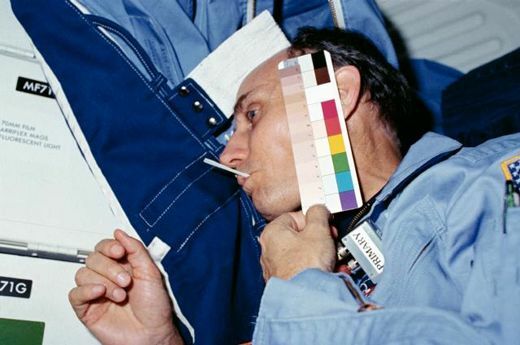 For the better part of three decades, Oman has been working with NASA to understand the neurophysiology behind space adaptation syndrome, or space sickness—the malaise, disorientation, dizziness, and outright nausea that harass most astronauts during the first few days in orbit. As director of MIT’s Man Vehicle Laboratory, a group within the institute’s Center for Space Research, Oman has accumulated plenty of data that almost guarantees it: If you plan to go to space, get ready to feel crummy for a few days. Oman’s work is worth a fresh look as orbital tourism companies like Space Adventures send increasing numbers of the super-rich up to the International Space Station—Virgin Galactic will soon send clients on suborbital rocketplane flights for $200,000 each, promising several minutes of weightlessness. Already, a company called Zero Gravity offers anyone who can part with $5,000 the adventure of 30-second floats inside a Boeing 727 during parabolic flights—repeated steep climbs alternating with steep drops. For some customers, after the 15th or so parabola, along with the sweet taste of weightlessness comes the bitter taste of something else. 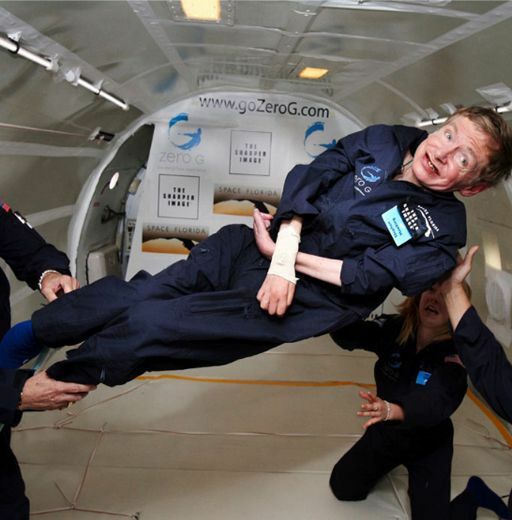 As zero-g comes to the masses, it pays to know the ground rules of space sickness. The two biggest are 1) consider taking anti-nausea drugs, and 2) keep your head still. Alan Ladwig, a senior advisor in NASA’s Office of the Administrator, co-founded Zero Gravity. First of all, he hates the term “vomit comet.” “We’ve never used that phrase,” he says. “That’s something the journalists gravitate to. It sends the wrong signal.” He claims that the trick to enjoying a zero-g flight is to have a little protein in your stomach, a little fruit, and crackers. Visit your doctor first and talk about the right anti-nausea medication. And once the parabolas begin, have fun. Most of all, he says, lie down flat on your back each time the plane pulls out of a weightless phase. “It’s not the floating by itself that makes you nauseous,” he promises. “The problem occurs during the two-G pullout. And moving the head during pullout is a big no-no.” Future suborbital parabola fliers on rocketplanes will feel a higher, more sustained G-load during reentry, but will be strapped on their backs in reclining seats. Space sickness didn’t afflict the Mercury and Gemini astronauts—if it did, they weren’t talking. 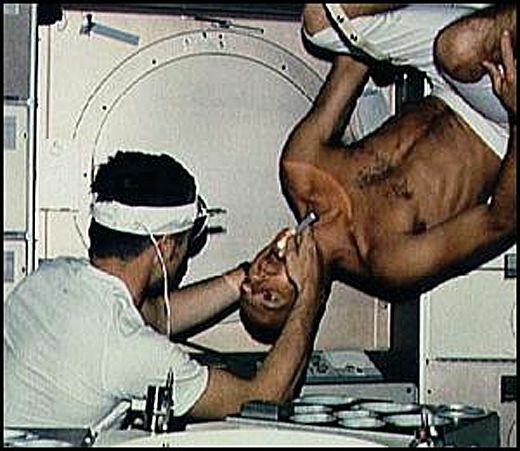 All the early astronauts were hyper-secretive about perceived physical ailments that might give doctors reason to ground them. Also, researchers believe that the tight cockpits of those vehicles didn’t allow astronauts to float around enough to trigger sickness. Apollo was a different story. The crew of Apollo 7, the first manned flight of the roomier three-seat capsule that allowed some free floating, reported having bad colds in space. But some now say that commander Wally Schirra, along with Donn Eisele and Walter Cunningham, all suffered something else. “Apollo 7, it was space sickness,” says NASA’s Millard Reschke, who studies the problem at the agency’s Life Sciences Research Lab at the Johnson Space Center in Houston. “No doubt about it. The excuses just don’t hold up.” On the next flight, Apollo 8 commander Frank Borman was suddenly overcome with vomiting and diarrhea mere hours into the flight. Apollo 9’s Russell Schweickart endured days of misery from space sickness. 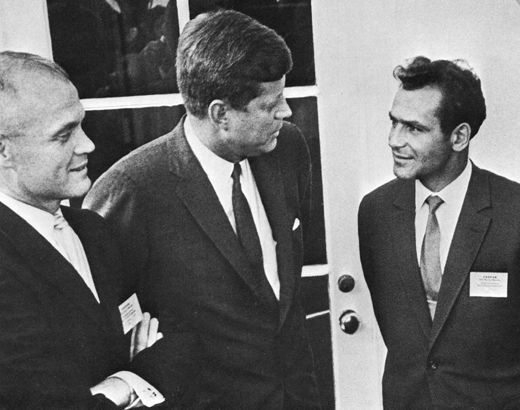 It may be a coincidence that these five men never flew again with the space program. But with moon landings about to happen, Apollo crews clammed up about the problem until years later when astronauts such as Apollo 11’s Michael Collins and Apollo 17’s Jack Schmitt admitted to feeling the butterflies of space sickness during their flights.